Given that the human civilization is changing at very fast pace in the past few decades – even India’s maiden cricket world cup triumph n 1983 is a major historical event now – history lovers like me have a lot to ponder over. The most routine study in history for most of us now is wondering at how the cities and towns are changing, more so in post-liberalization India. For example, one of the most common remarks heard in Hyderabad these days is how Kukatpally, Miyapur, Madhapur, and Gachibowli areas have developed into major residential and commercial hubs in a matter of 4-5 years. That’s what people of my generation talk about, whereas my father can’t stop wondering about how desolate the areas beyond Panjagutta (i.e. Ameerpet, Srinagar Colony, etc.) used to be even in 1980’s. The first movie was Rendu Jella Seetha, directed by Jandhyala in early 1980’s. It was shot almost entirely in an old bungalow on Vizag beach road. You can recognize some of the buildings on the beach road, incl. this bungalow, that have withstood the onslaught of apartment clusters on beach road. And, it makes you feel sorry for the buildings and trees, some of them 100+ years old, that have bitten dust. 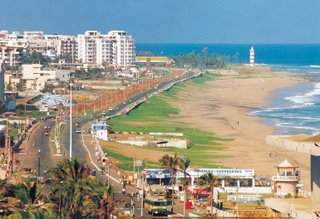 I get the same feeling when I watch Chantabbai or Babai-Abbai or scores of other movies that were shot at Vizag in early 1980’s, after K.Balachander popularized Vizag as a beautiful location for movie making. The next film was Appula Apparao directed by EVV in early 1990’s. The movie was shot in Vijayawada, a city I used to visit regularly to meet my class mates from REC, Warangal. Vijayawada formed the back drop of a handful of movies in 80’s and 90’s, but was lying low since then, till it was showcased again this year in Krishna-the power of Indrakeeladri featuring Raviteja. This movie earned accolades, of course from Vijayawada folks, for capturing some of the beautiful locales in Vijayawada. But after the repeat watch of Appula Apparao recently, I could n’t help but appreciate director EVV for showcasing many hitherto unknown – some beautiful, some weird – locations of Vijayawada. The crown jewel for me was Sapthapadi, directed by K.Viswanath in early 1980’s. Strangely enough, I watched this film for the first time last evening. Apart from a great theme and mind-blowing songs, I was mesmerized by the way Amaravathi was depicted in this film as a quintessential coastal village. Many of the songs captured the beauties of a village such as the early morning dips in river Krishna, cows grazing in the fields, temple on a hillock, and the famous Amaralingeswara Swamy Temple and the pushkar ghat next to it. Amaravathi was featured in many other Telugu films such as Shankarabharanam, Develayam, etc., but Sapthapadi should take the cake for showcasing it so beautifully. 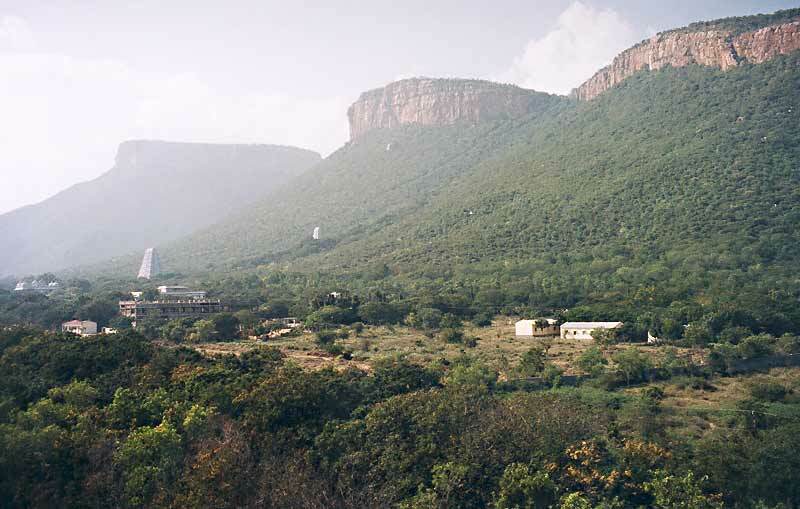 Talking of Telugu movies and Andhra cities/towns, other than Hyderabad, Tirupathi is another town that featured in many films, that showcased the Seshachalam hill range. Past 15 days have been typical of the way I spend my time ever since I moved to Hyderabad, and I love living in Hyderabad for that. 1. No surprises at the office. The same 9 AM to 5. 30 PM routine, things under control. Even when I had to deal with an avalanche of work I have made it a habit to plan my work early in the day, and then sticking to the plan. That helps me finish work by 6 PM or so, and lets me spend quality time with family or friends. What I have noticed at work places is that people prepare themselves to stay beyond 7 PM everyday, and then deal with their work in a leisurely manner, typically postponing much of the work to late afternoons or evenings. If people are little more serious about planning their work loads and are punctual, we can see a boom in the economy –a productive work force who consume less resources per day (in terms of electricity and food), who can then spend more time with family, shopping, and entertainment. 2. When it comes to the evenings/late evenings, I try to spend equal amount of time with family and friends. Fortunately for me my wife is not big on shopping :), so we watch TV or movies at home (thanks to all those DVDs I buy for Rs. 30 per piece), or we go out to the nearby theaters (Radhika, Sharada, Shivashakti or Cineplanet) or we go for a leisurely walk to 5th Avenue in Sainikpuri or the Temple complex in Sainikpuri, or we just submit to the latest fancy of our 5 year old son. I generally hang around with 4-5 friends of mine who I know for a long time. Strangely enough all those guys (and myself) made Hyderabad their home only in the past 3-4 years. Ten years ago we would not have imagined that all of us would reunite again in a distant place called Hyderabad. These days I have also made it a point to start networking with similar minded people in industry – professional executives or entrepreneurs. Apart from that I regularly attend the alumni meetings of REC-Warangal and IIM-Bangalore. I find such meetings very invigorating because I could connect to people who are doing many things beyond the usual and also because we can exchange info on the latest happenings in the industry. 3. 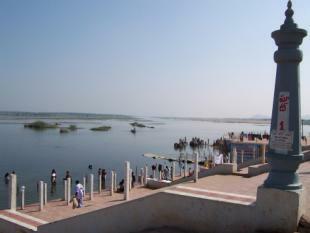 I love to travel, especially in the company of my close friends and especially in Andhra Pradesh. We typically pile into 1 or 2 cars and go on a 2-day trip that should include a long night full of booze, good food, and a lot of jokes and senseless talk. 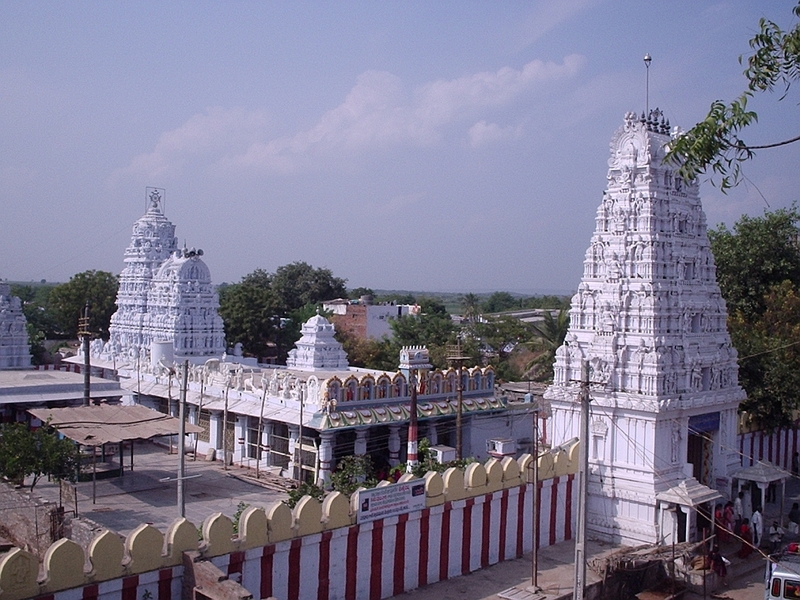 I also drive down to Guntur and Tenali (coastal towns ~270 KM away from Hyderabad) to meet my parents and in-laws. As one can see the last 2 things would not have been possible if I am living in any place other than Hyderabad. To sum up my last few days..
Narsapur Forest on Medak Highway (surprised to find a forest so close to this concrete jungle; can sight a lot of emaciated monkeys; good for trekking). Telugu comedians: what’s common to most of them? Most of the comedy scenes these days will have actor Sunil as the focal point. I guess people of our generation enjoy him more than the most, because of a simple reason – he belongs to our generation. He is around 30 years, he smokes and boozes convincingly (off the screen too), and is full of PJs, delivered in his own “Bhimavaram” accent. BTW, is it a coincidence that most of the current comedians hail from East or West Godavari Districts?? This is true in case of the comedians I enjoy the most – Sunil (Bhimavaram), Shivaji Raja (Narsapur), MS Narayana (Bhimavaram), Ali (Rajahmundry), Brahmanandam (at least his formative years were spent in Bhimavaram, Narsapur etc.). The rest are AVS (from Tenali), Venumadhav (Nizamabad), Chitram Sreenu (Khamam??). Kubbi – can you present some insight into this phenomenon!! BTW, dudes – if you want to make your own post on to this blog, first login to “blogger.com” and then follow the instructions in your homepage on “blogger.com”. Today, apart from “Nee kosam”, I watched the interview of SS Rajamouli, director of “Chatrapathi” which is releasing today. This guy, director of hits like “Student No.1, Simhadri, and Sye”, is disarmingly simple in discussing about his new film. I would rate Rajamouli, along with VV Vinayak and Vijaya Bhaskar, as best of the current lot in Telugu. ‘guess RG Verma would do well to watch the movies of these directors to learn how to make movies low on hype and high on substance.